Canada is a confederation of provinces whereby most civil matters fall within exclusive provincial jurisdiction. As a result, most commercial arbitration cases are governed by the provincial legislation in force at the place of arbitration. All of the Canadian Provinces and the Federal Government have passed modern arbitration legislation based on the UNCITRAL Model Law for international commercial arbitration. To fit within this legislation, the arbitration must be both “commercial” and “international.” Typically, an arbitration is international if one of the parties is from outside Canada. For a more detailed description of the definitions of “commercial” and “international”, reference should be had to the specific provincial legislation. Most provinces have also passed modern arbitration legislation for domestic disputes. The characterization of the arbitration as either domestic or international is important as court involvement and appeal rights are substantially different. For a more detailed definition of domestic arbitration, regard should be had to the relevant provincial legislation or Arbitration Law of Canada: Practice and Procedure. 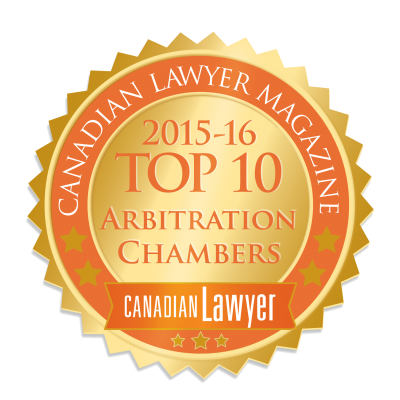 Commercial arbitration in Canada is either administered by an arbitration institution, or is conducted ad hoc. If the arbitration agreement calls for arbitration under a particular institution’s rules, those rules must be followed when commencing the arbitration. If the parties have not agreed on institutional arbitration the case will proceed ad hoc under the applicable provincial legislation.